In the parking lot of the Data Center at NASA’s Kennedy Space Center on Nov. 15, 2018, employees turn in used household material for recycling as part of America Recycles Day. The annual event is a nationally recognized initiative dedicated to promoting recycling in the United States. This year, KSC is partnered with Goodwill Industries and several other local organizations to receive donation material from employees such as gently used household items, personal electronic waste, greeting cards and serviceable eyeglasses. The modern high-tech world is full of conveniences such as computers and cellular telephones. All make daily life easier. But, eventually, these products become waste when they are replaced with the latest developments. 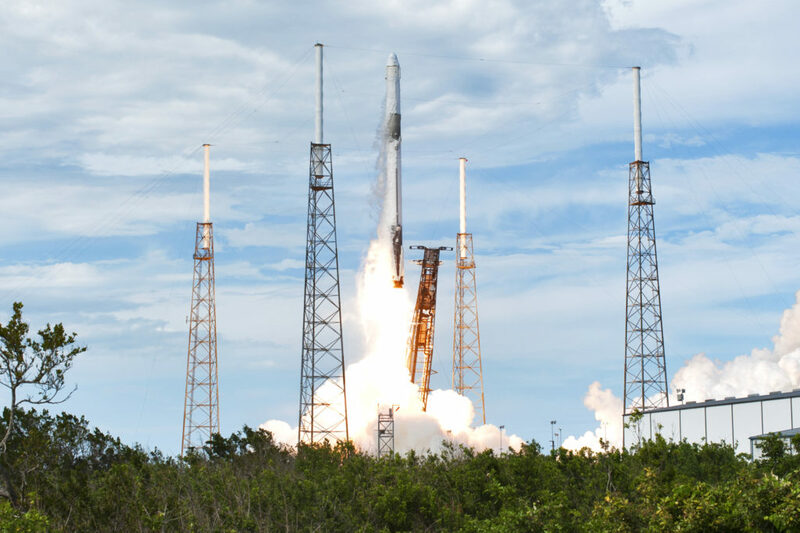 Employees at NASA’s Kennedy Space Center in Florida partnered with Goodwill Industries and several other local organizations to ensure much of the no-longer-needed items don’t become pollution. 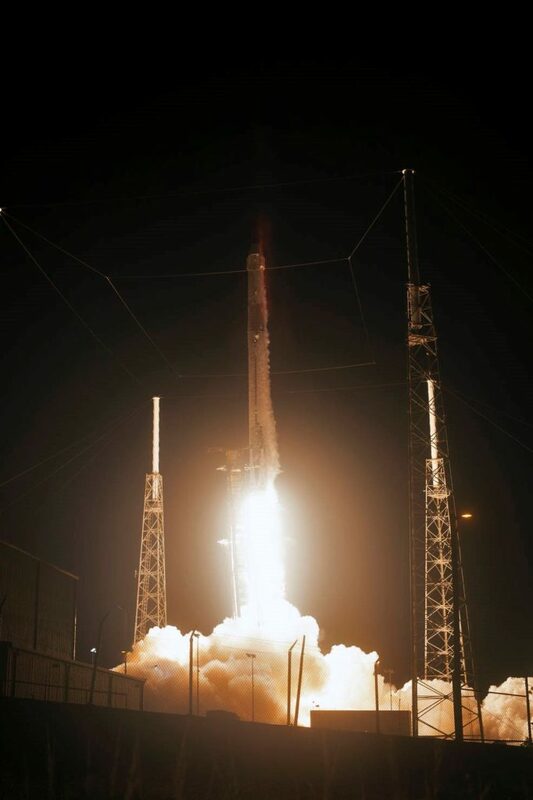 On Nov. 14 and 15, Kennedy’s Spaceport Integration and Services Directorate encouraged employees to bring in materials such as new or gently used household items, personal electronic waste and other items for recycling. The effort was part of America Recycles Day. The national emphasis focuses on opportunities not to discard items that can be recycled, giving them new life. According to Jeanne Ryba, an Environmental, Sustainability Program specialist, the annual event started out at Kennedy focusing on collecting electronic waste and now has expanded to include even more. “For other charities, we collected phones for Cellphones for Soldiers, used eyeglasses for the Lyons club, bread tags for Danielle Cares for Chairs, coupons, valid up to six months expired, for Coupons for Troops, pop-top tabs for Ronald McDonald House and greeting cards and corks for local programs such as senior homes and craft organizations,” she said. 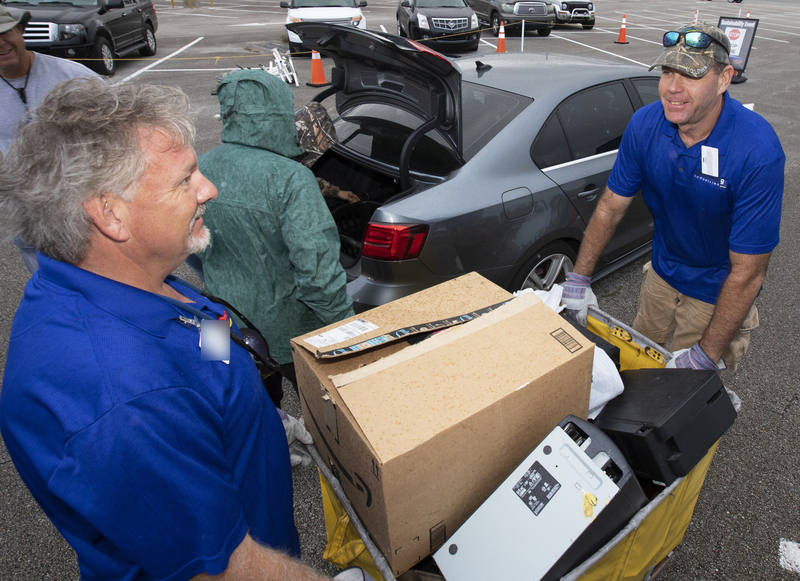 During the two-day event, hundreds of Kennedy employees turned in goods to be recycled, dropping them off in the parking lots of the Vehicle Assembly Building and the Kennedy Data Center. All totaled, spaceport employees made approximately 253 drop-offs. 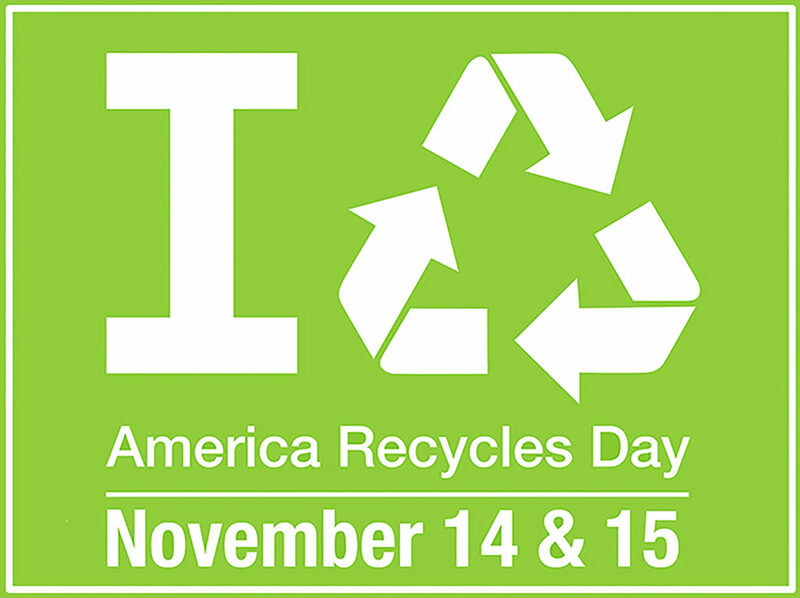 America Recycles Day is a program of Keep America Beautiful and is nationally recognized as a time dedicated to promoting and celebrating recycling across the nation. Every year in mid-November, event organizers work to educate neighbors, friends and colleagues about the value of not discarding no-longer-needed items. Established in 1953, Keep America Beautiful provides the expertise, programs and resources to help people end littering, increase recycling and beautify America’s communities. Among the organization’s most effective efforts was their 1971 ad campaign discouraging roadside litter. According to the U.S. Environmental Protection Agency (EPA) website, recycling contributes to American prosperity and the protection of our environment. Recycling is encouraged year-round at Kennedy. Blue containers for recycling glass, aluminum and plastic are located in many areas at the spaceport. When recycling containers are three-quarters full, visit the STAR website at http://star.ksc.nasa.gov to request that the container be emptied. For information on the center’s recycling program, employees may call 321-867-3305. 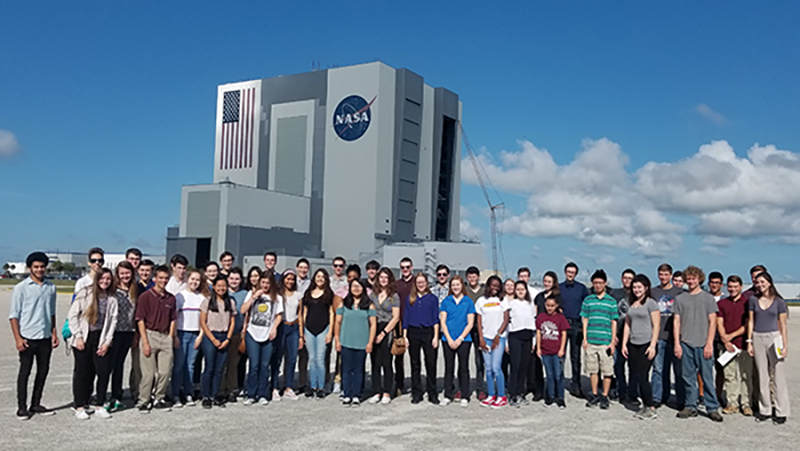 Seniors from Brevard County area high schools were treated to a behind-the-scenes tour of NASA’s Kennedy Space Center, ate lunch with an astronaut, and participated in a roundtable discussion with Kennedy engineers, scientists and business experts at the Kennedy Space Center Visitor Complex on Nov. 7, 2018. The students heard from astronaut Bob Springer, a member of the second class of NASA astronauts, who flew on the STS-29 and STS-38 missions. Mixing pertinent information with humor, Springer shared his experiences in training and flying on a space shuttle, and the astronaut selection criteria. 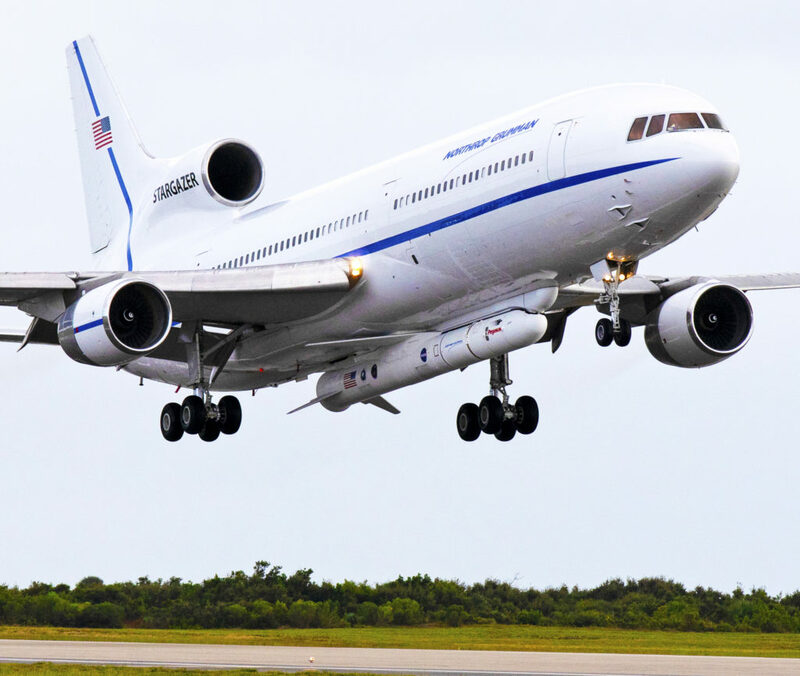 The annual event, hosted by the NASA Academic Engagement Office at the center, also provided information about NASA’s internships and scholarships. At the end of the day, each student received a certificate of recognition. From there, they were invited to tour the visitor complex and view the Space Shuttle Atlantis exhibit.